Confirmation of Solar forcing of the semi-annual variation of length-of-day | Watts Up With That? Guest Post by Paul L. Vaughan, M.Sc. A) the robustness of the original result for LOD’ across differing methodology. B) direct extensibility of inferred results to AAM’, even though AAM is known to have less power than LOD at the semi-annual timescale [for example, see Schmitz-Hubsch & Schuh (1999), listed below]. 1) Sensible interpretation of the preceding data exploration requires awareness of the confounding of numerous solar variables. 2) Extrapolation of the pattern to other eras might require assumptions that cannot be physically substantiated using current mainstream knowledge. a) Schmitz-Hubsch, H.; & Schuh, H. (1999). Seasonal and short-period fluctuations of Earth rotation investigated by wavelet analysis. Technical Report 1999.6-2 Department of Geodesy & Geoinformatics, Stuttgart University, p.421-432. b) Zhou, Y.H. ; Zheng, D.W.; & Liao, X.H. (2001). Wavelet analysis of interannual LOD, AAM, and ENSO: 1997-98 El Nino and 1998-99 La Nina signals. Journal of Geodesy 75, 164-168.
a) The Morlet wavenumber has been chosen such that average solar cycle length is ~2/3 of the Gaussian envelope. In layman’s terms, this is like adjusting a “microscope” set to semi-annual “magnification” to ~11 year “focal length”. b) Towards the end of the wavelet power time series, there is an edge effect; the shape of gross features can be trusted, but amplitudes should be interpreted conservatively. Some interesting ideas there, number of useful links to go through. My own observations show that the LOD could be directly linked to the interaction between the solar storms and the Arctic magnetic field. p.s. I hope visits to my website and graphs (400 + in the recent weeks) were of some help. There is no argument over this. The shifting of air masses changes the moment of inertia and because of conservation of angular momentum we get a variation of LOD. All this is well-known and accepted. One thing that is always bothersome is the omission of years from both ends of the curves. We have cosmic rays data back to 1952 [LOD back hundreds of year], and new data through at least 2009. Paul, I suggest you add these. interaction between the solar storms and the Arctic magnetic field. The Arctic magnetic field is generated deep within the Earth’s liquid core and there is no influence of solar storms on that field. The amplitude of changes in LOD produced by angular momentum exchange between the Earth’s crust and the atmosphere are around 10-15% of the amplitude of the multidecadal swings in LOD which seem to be linked to the large oceanic oscillations and global temperature inflexions. Those lag behind similar periodicities and proportional changes in the disposition of solar system masses. Your inclusion of the CR count indicates the link which exists between the changing solar system mass distribution (planetary positions) and the solar cycle. I have recently been looking at SOI in relation to the outgoing longwave radiation and incoming solar shortwave, and have created an index which looks like it bears some relationship with detrended global temperature too. Your inclusion of the SOI in the correlation points the way to an integrated understanding of these semi-annual and multidecadal LOD variations and their relationship to global temperature via Bob Tisdale’s studies showing the cumulative nature of ENSO released energy. It’s all starting to come together. OK, I’ve read this over a couple of times and I’m still not sure what it means. Is it that “The Sun Did It” is more supported now? Is it that solar diven mass air flows impact LOD? Is it that the various air / weather oscillations are solar driven (and didn’t we already know that?)? And how does this connect with Ian Wilson’s paper that found a Solar cycle / LOD / PDO connection? I’m left to wonder if this has anything to do with the forbidden “barycenter” option, or is it just saying “sun light heating moves air”? I read somewhere that LOD affects the trade winds in Pacific. Trade winds govern ENSO. The rest is history..
With all the learned posts above I hesitate to admit that my first reaction to seeing the heading was ‘Is it April Fool’s Day’?! Since you recently resorted to guesswork (as here) than you guess is as good as anyone’s else including mine. I read somewhere that LOD affects the trade winds in Pacific. Trade winds govern ENSO. The rest is history. I think they are parallel effects, LOD is affected by solar storms break on the Earth’s rotation, and at same time change in shallow Hudson Bay magma vortex (still experiencing a rapid uplift due to melt of the Laurentide ice sheet), this is reflected in the Arctic atmosphere’s vortex, jet stream and so on.. In the winter difference in insolation between mid and high latitudes is the greatest. Deprived of energy, the stratosphere over the Arctic grows cold creating a low-pressure system in the stratosphere that sits over the Arctic throughout the winter. Further south the air is warmer and air pressure is higher in the stratosphere causing the air to flow away from the high-pressure system towards the low-pressure system. Due to the Earth’s rotation strong counter-clockwise Arctic vortex is generated. Polar vortex in the arctic often is split up, and this appear to affect not only stratosphere but troposphere too. In contrast Antarctica vortex is pretty constant, only one case of sudden stratospheric warming SSW was recorded since 1950 (in 2002, science is puzzled by the event, but there is a simple explanation for it). Polar vortex is frequently (but not all the time) under the influence of the geomagnetic field, I suspect it depends on the extent of ionisation. The location of where the field is generated is not guesswork [we even had a WUWT thread on this which I can refer you to if needed]. WUWT is one of the major successes of internet, possibly of historic importance for the early 21st century’s climate science and its direction. It is a great platform for voicing views and opinions, but I am sure that the WUWT and its editorial personnel do not stand behind or even less guaranty the scientific accuracy of its many contributors. What about the Antarctic SSW in June-July this year Vuk? Linked to the extreme cold experienced in South America around that time in my opinion. I think you would find it interesting, if a bit speculative. I ask the question “What drives the Polar Vortex” but answer had I none… Now if a bunch of spinning things vary, like LOD and all those loverly atmospheric thingys, might not that vary the Polar Vortex as well? E.M. for the pressure changes which drive the variation in the AO and AAO maybe you should take a look at Erl Happ’s ideas. WUWT and its editorial personnel do not stand behind or even less guaranty the scientific accuracy of its many contributors. Pseudo-science lives forever, no matter what the evidence. I am surprised that most of the contributors have overlooked the role of the Moon in the rotational behaviour of the planet. I understand that the moon has a ‘declination period’ (please correct me) of 19 years, and by that I take it that the elevation of the moon rises and falls from peak to peak over this period. Given the layout of the oceans, the vast expanses, the gulfs and straits, the capes and bays – might one not assume that the subtle gravitational/tidal emphasis in certain regions at certain times might not drive or at least influence the currents that we now realize are the true engines of weather? Could the tides act as a gravitational brake and tweak the rotation of the planet? I would be interested in hard science on this topic. July-Aug 2010, SSW in Antarctica at 30-hPa doesn’t register, only very high up at 5-hPa has broken trough the normal bandwidth, so you may well be right. I haven’t paid much attention to the SH, too many events to keep an eye on. (coincidence or not), once dismissed by Hathaway, whose record since then (much-loved joke) is even worse than a guesswork you are now resorting to. I say, better pseudoscience than no science at all. I am only but a speck ‘on the shoulders of giants’ of the science history, who were declared ‘frauds’ and ‘charlatans’ from those that build reputations on a dogma. I look forward for my projects to be dissected and scrutinised, by anyone who wishes to do so, and any comments are welcome, even from those who do not read what I written. If you read my notes and than commented on what is there which is in contradiction with the laws of classic physics, would be fine. Aaccepted consensus I do not care for; I am here to challenge it not sing ‘Amen alleluia’…. I believe the moon is one of the parameters Piers Corbyn uses in make weather forecasts. That is the problem charles, to my knowledge nothing happens over that time frame. One magnetic field (terrestrial) spinning in another (solar) results in drag. Change the solar field, get a change in the drag and the CR influx. Change the drag, get a change in the rotational velocity; change the rotational velocity, preserve the angular momentum via changing the (GL)AAM. Sorry, as a physicist I do not understand this. The angular momentum of the atmosphere pales into insignificance in comparison with the angular momentum of the Earth itself. The atmosphere has a boundary layer with the surface of the Earth, and higher up viscosity must be considered. Cosmic rays (both solar and galactic) are attenuated by magnetic fields (of the Earth, sun and galaxy), but what physical coupling is being propoesed here completely eludes me. Perhaps my physics is out of date, but a clear explanation of the physical process being proposed would be helpful. You have pointed out how the lunar nodal cycle may be synchronized with other cosmological phenomena. If the earth were a water planet with vertical baffles dividing the water into discrete volumes, would the moon/sun/earth gravitational configuration produce a definable circulation within the cells? Would there be any asymmetry in the circulations(s)? Would any such asymmetry affect LOD? If we have “yes” to all of the above then we need to know how this phenomenon affects climate. If I’m visualising the galactic coordinates correctly, doesn’t the LOD happen to plummet at about the same time as the Earth moves from behind the Sun toward the basic solar motion through the galaxy? However, if the solar system’s motion was a significant factor, I’d expect the LOD’s pattern to be more symmetrical. I am aware the Earth’s motion and orientation are not symmetrical, as its axis of rotation and rotational motion are not aligned with the solar motion. I have no idea why the direction of travel nor the interstellar medium’s relative motion might be relevant. Without intentionally trying to kick the dog, all of current science is, in a manner of speaking, pseudo-science. Even that to which we ALL give consensus, not infrequently rears up and demonstrates that its not immutable. Cheers to all for a peaceful, comforted and comforting Christmas season, however you embrace it. you’ll see an interesting chart showing the break-up dates for the Northern and Southern vortexes. Does anyone have/provide access to a data source that includes the historical dates when each vortex formed and broke-down? How about vortex size, shape and strength? Beyond the AO and AAO, are there are any other indexes that might serve as proxies for vortex formation and breakdown? All ready? Now 1,2,3 and bow before the great professional scientific elite. No need to do your own thinking. Leave it to the professionals who understand everything about the sun/earth/moon/climate. Remember to keep sending your tax dollars. Leif says: The shifting of air masses changes the moment of inertia and because of conservation of angular momentum we get a variation of LOD. All this is well-known and accepted. OK, what shifts the air masses and why the semiannual variation. That all makes sense but why the semiannual variation? And the really important question that is not addressed at all either in post or comment is what changes the cloud cover as the air masses shift giving rise to a change in temperature of the surface. Without a plausible mechanism you might as well say that ENSO (the unexplainable interchange between atmosphere and ocean or some such mumbo jumbo) drives the lot. So I am with Roger Longstaff who says: “a clear explanation of the physical process being proposed would be helpful”. erlhapp, No one suggested these are the only influences, just the major multi-year ones. The major semi-annual effect is probably due to changes in mass distribution (ice). Silly me. Distance from the sun, thanks to our elliptical orbit: closer, field is stronger. The earth’s angular momentun and LOD must drive the atmosphere, and not vice verse. So what alters the earth LOD, in roughly 10 year cycles? One magnetic field (terrestrial) spinning in another (solar) results in drag. No, not at all. There is no magnetic drag as the two fields are separated by a non-conducting atmosphere. 74 yr sub – harmonic lunar nodal cycle. The earth’s angular momentun and LOD must drive the atmosphere, and not vice verse. Thanks to Anthony for hosting this post. Thanks also to the moderation team & those who are contributing to the discussion. A number of commenters may be confusing LOD & LOD’. Clear distinction is crucial to sensible conceptualization. It is the semi-annual (not multi-decadal) variations in LOD that relate to AAM variations. Some have made reference to the moon. Lunisolar tides, including the LNC (lunar nodal cycle), 14 day tides, 28 day tides, & others are crystal clear in daily-resolution LOD’. There’s no ambiguity whatsoever. The graphs of LOD’ which I have presented above have been filtered to crystallize variations on the timescale of 3 months. I encourage readers to also plot unfiltered daily LOD’ while pursuing independent data exploration. One will see the LNC clearly modulating the high-frequency variations. One will also see modulations related to polar motion. I will be investigating the preceding with increasing scrutiny when time & funding permits, particularly as these variations match patterns which I found during my very first month of climate investigations in late fall 2007. I suspect a link with seasonal (not to be confused with interannual) variations of ENSO (something which is obscured by the mainstream convention of using anomalies) and also with Arctic ice dynamics of 1988 & 2007. 1) Daily LOD records begin in 1962. 2) As I have noted, there is a wavelet edge effect for the last few years of the record. Keep in mind that the window width [7pi] is determined by the average solar cycle length (see supplementary technical note 5a), so I’ve already pushed the boundaries a few years past conservative (hence my supplementary technical note 5b to caution other investigators — direction from an expert on wavelet edge effect management would most certainly be very welcome – alternately I will have to wait until I have more time & funding to develop methods independently). I have been pursuing separate investigations using the annual-resolution LOD record going back to 1832. I also have on file the 1830+ LOD series with 4 month resolution (very unfortunate that the resolution isn’t 3 months). Gleaning usefully-structured information about semi-annual variation from these 2 series will be an interesting challenge, if & when time & funding permits. Perhaps an expert on aliasing will take up the challenge in the meantime. I will comment further shortly. Clear distinction is crucial to sensible conceptualization. It is the semi-annual (not multi-decadal) variations in LOD that relate to AAM variations. For multi-decadal variations you hardly need daily data. The Earth’s angular momentum is constant so does not drive anything. How does the Earth’s axial wobble affect its angular momentum? Darn, I want to read this, but “Wavelet Analysis” reminds me that I am supposed to be working and not browsing WUWT. My task for the day is to create a little stand alone class for doing some basic “Wavelet Analysis”. Where do all you guys find the time to write up such lengthy comments? As you said ‘clear distinction is crucial’. Perhaps I slipped there. For the semi-annual variations you do need higher than 1-yr data, maybe 6 points per year. To make the concepts harder, I may note that the Length of the Day is about 24 hours, what is called LOD is itself a difference between the observed length and that of atomic [or ephemeris] time, so is really LOD’. You are calculating the derivative of that, i.e. LOD”, I think. In this forum details like this have to be made clear [several times: tell’em, then tell’em what you told’em]. shows the amplitude of the semiannual variation for 1985-1993. It is the semi-annual (not multi-decadal) variations in LOD that relate to AAM variations. The Earth’s magnetic field extends ten’s of thousands of kilometers in the direction of the Sun, and considerably further in the opposite direction. The atmosphere is only about 1000KM thick and is most certainly conductive, especially the ionosphere which is primarily made up of gas ionized by solar radiation. I don’t see how the atmosphere could act as a barrier between the two fields. The terrestrial and the interplanetary magnetic fields most certainly interact, though I have no idea how much “drag” would be induced. The atmosphere is only about 1000KM thick and is most certainly conductive, especially the ionosphere which is primarily made up of gas ionized by solar radiation. I don’t see how the atmosphere could act as a barrier between the two fields. That ionization stops below the ionosphere. The air in your living room is not ionized to any significant degree [one might hope!]. A barrier a foot thick would be enough to prevent dragging. Absolute, I am one of the scientists that actually proved that [back in 1968 – the Svalgaard-Mansurov effect], but that interaction is way up in the magnetosphere. Excellent topic and information from contributors!!! I love this and give thanks to all who have researched, design equipment, collected the data, analysed the results and provided the wonderful graphs. In one of the Vukcevic graphs , the GMF Main Field Vertical Intesity(Z), there is an convergence of the Hudson Bay, Siberia and Average that looks to be around sometime in 2004(?). Christmas tsunami was in Dec. 2004. It was reported that this caused the LOD to increase by 2.68 microseconds. Changes in the Chandler wobble also were reported in 2005. Are these events related and caused by/to changes in angular momentum? Seems to me that diagram 3 and 4 has peaks that relate to the cycle of shifts in atmospheric mass to the high latitudes of the winter hemisphere (dominated by the southern hemisphere peak in late year but with a sub peak for the Arctic in February-April) while the variation in the peaks is likely due to the degree of excitation of the electric currents in the atmosphere by the solar wind. This should be explicable via an examination of the relationship between the Dst index and the Arctic Oscillation and Antarctic Oscillation Indexes as I suggest here: http://climatechange1.wordpress.com/2010/12/19/the-solar-wind-shifts-in-the-atmosphere-climate-change/. I suggest that the variation in these biennial peaks in figure 3 and 4 in this post should relate directly to the differential pressure between 30-40° and 50-60° of latitude (60-70° in the Southern Hemisphere) that drives the westerly winds in the mid latitudes and the temperature of the surface of the sea in the mid and low latitudes due to changing cloud cover associated with the flux of ozone from the winter pole. and in particular figure 4 in the latter paper. Particularly interesting is the modulation of the January-February peak in the AAM from 2006 onwards corresponding with the dramatic increase in Arctic sea level pressure in winter, collapse of the westerly winds in the northern hemisphere, enhancement of the polar easterlies, the dominance of La Nina conditions in the tropics since 1997 and the return of very cold winters to the northern hemisphere. The relationship between AAM, the SOI and the QBO (related to ozone flux and stratospheric temperature) on longer time scales is adequately demonstrated in figures 5 and 6 in Paul’s post. The conclusion makes interesting reading. I am confident that the ‘tropospheric response to stratospheric heating anomalies (Simpson et al. 2009) ‘ is the link that will be fruitful because those heating anomalies in the stratosphere project downwards into the troposphere to at least 500hPa (5Km) in a mirror image of the heating anomalies in the stratosphere, impact cloud cover and sea surface temperature. And of course, the stratosphere leads. It all starts at the winter pole. Its pathetic to consider that mainstream climate science has it all backwards, suggesting that ENSO somehow projects onto the northern and southern annular modes and that ‘planetary waves’ can be causal when we know that AAM is directly related to shifts in atmospheric mass. In my view this is a post that defines the relationships between critical variables relating to climate. But, the explanation of how climate varies over time will involve an explanation of why and how shifts in atmospheric mass occur and acquire a bias over time. Interestingly Baldwin and associates are preoccupied with the notion that in order to explore the dynamics of the NAM and the SAM they must adjust data for the evolving bias in where the bulk of the atmosphere is located instead of asking why it shifts. That is the key. 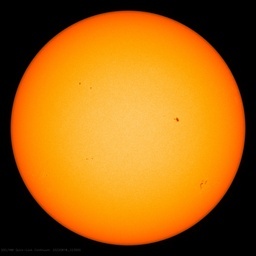 When the charged particles are accelerated in the electromagnetic medium they carry the neutrals along with them and an atmosphere that is collapsed at solar minimum and during low solar cycles is much more reactive that is highly inflated at the top of the solar cycle. It follows that the most vigorous variations in the Earths atmosphere that are due to the sun occur in shorter time scales than the 11 year cycle. These are commonly attributed to the mysterious ENSO, and the Madden Julian Oscillation that are products not causes just like the ripples on the water. The ripples don’t cause the wind. Its the wind that causes the ripples. If we continue to be preoccupied with whole of solar cycle variations we deserve to be ‘done’ by the warmers. Clarification: Le Mouël, Blanter, Shnirman, & Courtillot (2010) have studied decadal (extent) variations in semi-annual (grain) power. The research is about neither decadal nor multidecadal (grain) variations. I realize the preceding point will strain many readers, particularly those lacking a solid conceptual foundation in advanced physical geography or a related field like landscape ecology, but it is absolutely crucial to differentiate between grain & extent in spatiotemporal analysis. The magnification & the focal length are 2 different parameters. In wavelet lingo, the wavelength (the sampling unit) & the wavenumber (number of waves in a window) are not the same thing. It’s a sieve where not only the pore size is adjustable, but also the area of the field of pores. This matters tremendously in pattern recognition if there is a clumping or clustering of features of some particular small size over a wider area. There are 2 scales to consider, for example the size of a human & the size of cities if one is studying the distribution of humans. The grain needs to be adjusted to focus on humans while the extent is adjusted to be capable of seeing cities. Le Mouël, Blanter, Shnirman, & Courtillot (2010) found a clustering of 0.5 year features at 11 year intervals. Such detection requires focus not only at the right grain (0.5 years), but also at the right extent (11 years). Most other researchers were leaving the extent parameter completely out of the picture, literally ignoring it (whether due to conscious negligence or innocent naivety). Ecologists run into absolutely endless sampling issues due to this kind of stuff. Some of them have responded by learning and fortunately those enlightened few have shared with their students. It’s all about avoiding Simpson’s Paradox, which arises when summaries are not conditioned sensibly on key factors, such as grain & extent in spatiotemporal analysis. In exploratory spatiotemporal series analysis, one needs to roll through a range of grain & extent settings and take note of the effect on parameter estimates (unless one has sufficient intuition/understanding of the phenomenon under study to jump straight to the right settings). In the conventional mainstream, most researchers are aware of the need to roll through grain-space, but not many show awareness of the need do the same for extent – or if they do it, they do it separately instead of in concert. If someone wants to supply funding, I can make time to illustrate the preceding points graphically at a level accessible to a mainstream audience, but readers might appreciate that this stuff is the subject of whole graduate level university courses – & life-long learning beyond that for many – so it might not always be possible to get all of the vital points across succinctly on limited volunteer hours. Leif, it is important to note that Hopfner, J. (1996) only varied one of the parameters: grain. He did not vary extent. In layman’s terms, he didn’t adjust his microscope up & down at his chosen magnifications to vary the width of the viewing field. This would not pass in an advanced physical geography or landscape ecology course, but this is certainly not to say that Hopfner has not contributed to the multidisciplinary puzzle from his own area of expertise (quite the contrary). tallbloke, vukcevic & others have raised some fascinating points about multidecadal variations in LOD. It is very important, however, to realize that Le Mouël, Blanter, Shnirman, & Courtillot (2010) are drawing our attention to something that is “not the same thing”. The “something else” to which they are drawing attention is occurring in the atmosphere at semi-annual timescales (and clustering at ~11 year intervals). These aren’t “competing” concepts, just different parts of a broader whole. Pause to consider that carefully. They’re saying aliasing is integrating asymmetrically (due to north-south terrestrial asymmetry). Bottom Line: Seasonal cycles vary spatiotemporally (e.g. hemispherically & on decadal timescales). All that is needed is jet deflection. This can be achieved by something so little as pressure changes in strategic locations. A sensible avenue is to focus on changes in insolation patterns (rather than on, for example, global irradiance). Meehl, G.A. ; Arblaster, J.M. ; Branstator, G.; & van Loon, H. (2008). A coupled air-sea response mechanism to solar forcing in the Pacific Region. Journal of Climate 21, 2883-2897. Roy, I; & Haigh, J.D. (2010). Solar cycle signals in sea level pressure and sea surface temperature. Atmospheric Chemistry and Physics 10, 3147-3153. While the Northeast Pacific mode is nonstationary, it might be one of the most stationary spatial modes (look at the geography, particularly the curved mountainous coast in relation to the dominant westerly flow) and such focus might explain why statistical methods designed to detect linear relations can succeed in this area while being challenged (Simpson’s Paradox) by nonstationarity elsewhere (which requires use of complex correlation, which detects coupling switching no problem at all, while linear methods fail catastrophically). It’s like waving a fire hose. Trenberth, K.E. (2010). Changes in precipitation with climate change. Idealized notions of stationary climatologies & temperature anomalies are throwing mainstream efforts (or lack thereof?) to understand the hydrologic cycle off the trail of insolation (not to be confused with irradiance), pressure, & circulation. Hydrology is a function of absolutes, not anomalies. In reality, seasonal cycles are spatiotemporally nonstationary (e.g. semi-annual hemispheric circulation variation, lunisolar tides, other) and temperature/cloud/precipitation relations reverse sign seasonally over substantial portions of the globe, most notably in the northern hemisphere. Regrettably, some mainstream climate science leaders fell victim to Simpson’s Paradox decades ago; the point is not to issue blame, but rather to suggest that we help pick up the pieces now to enable more efficient data exploration moving forward. Via complex correlation, a competent data explorer will easily see that Schwing, Jiang, & Mendelssohn (2003) are casting light on the tip of a massive iceberg, possibly best conceptualized as an evolving multiscale spatiotemporal coupling matrix (that can be estimated for the past from records). I’m not convinced that the audience here is ready for such nonlinear thinking, but I sincerely hope this will change. Both our society & civilization are at risk if the current mainstream culture of overly-linear “reasoning” is left unchallenged & uncorrected. I will suggest that it is the duty of responsible & capable citizens to seriously consider involving themselves in the educational effort. For your consideration I would like to toss into the sausage grinder the work of Otto Pettersson dealing with deep ocean waves and the complex interaction of lunar, solar, and planetary tidal forces as they slosh around the ocean basins in all their various sizes,depths, and widths. There is a chapter in Rachel Carson’s book “The Sea Around Us”(1951) that explores his work in dealing with climate variability without once mentioning CO2, greenhouse effect, or AGW. Refreshing. I tried to keep silent, but this is too much. Mr. Dr. Svaalgaard: Are you saying that Erath’s magnetic field does not extend beyond atmosphere? If not, what the heck are you saying, and who the heck you learned your physics from? Bloody hell! First you inform us of additional confirmation, subsequently respond in double check time with bullets and open invitation for funding, then assault your audience with unmetered judgement? Great! About time there was some shake-up out there. I’m keen to see how this progresses. I would like to thank everyone for an excellent post and commentary. I think it is one of the best I have seen here. Not so long ago, he said that photons coming out from the Sun are energy that is lost forever; apparently, he doesn’t know that photons are absorbed, and then re-emitted as energy (particles and/or radiation) in many forms. Now Dr. Svalgaard is teaching us that Earth’s magnetic field cannot interact with that of the Sun, because Earth’s atmosphere is a non-conductor. Really? In your childhood, did you ever play with a magnet moving beneath a piece of paper with iron dust on it, Leif? With a strong magnet, you can use a cardboard, a thick wood, or a dry wall. Not to mention air. Somehow magnetic field doesn’t know it shouldn’t extend through all these dielectric layers, defeating Dr. Svalgaard’s very innovative physics. To begin with, the Earth’s magnetic field is, in fact, confined within its magnetosphere by the solar wind and does not extend outside of that. For one field to really drag significantly on another they need to be connected by frozen in field lines so that the fields have a ‘physical’ identity that can transmit forces, thus there must be a plasma or conductor between the two fields. In an insulator [air], the field lines do not tie the two field together so that one can drag the other. And the lower atmosphere is a conductor. So no drag. Another way to look at it is that a changing magnetic flux can induce an electrical current in a nearby conductor even across insulating air and that will exert a drag on the conductor, but only if the flux varies. At a point at some distance from a rotating spherical dipolar magnet [the Earth] the flux does not vary [the number of field lines is rotationally symmetric]. Its value stays the same, so no induction. And here we were talking about a conductor [plasma] being involved. Move the conductor far away so that only its magnetic field [we’ll assume it has one] is near the Earth, then the induction becomes negligible. So any drag really depends on the two fields being embedded in some conductor [plasma], so that electric currents can get into the game. Just twirling a toy magnetic in the air does not create any electrical current. The issue was if the solar wind’s magnetic field could slow down the Earth’s rotation due to the fact that the Earth was a magnet too, and it does not for the reasons outlined. I do invite you to write down the equations and calculate how much drag you think there would be. and who the heck you learned your physics from? Niels Bohr. Seriously, he was still giving a few lectures in the last years of his life which were attended by everybody, of course. Anyway, blame goes to numerous other instructors and professors, of course. First of all, now you are defending a position very different from what you said earlier. I answered to the earlier statement of yours, indelibly recorded above as follows: “There is no magnetic drag as the two fields are separated by a non-conducting atmosphere.” This is nonsense; Niels Bohr would laugh in your face. Secondly, what you are saying now, in plain English, is that two powerful magnetic fields, that of the star and that of its planet, cannot interact if there is no conducting plasma connecting them. It is true that for an interaction of two magnetic fields a presence of non-zero currents and, therefore, of a conductor is necessary. Solar magnetic field extends to all of the Earth, including its core and all other conducting layers, producing a star-planet magnetic interaction. How significant is this interaction, and is it powerful enough to influence the length of an Earth’s day, even as infinitesimally as observed? I don’t know. I am a musician and a translator. It would take a mathematical apparatus not at my disposal to answer this question. But before anybody tries to answer this question, he or she should ask the question correctly and clearly, within the confounds of reality and common sense. What you are saying, Leif (that there is no and cannot be any interaction between solar and planetary magnetic fields because there is no “conducting plasma”) is beyond the confounds of reality. The fact that Earth is not within the plasma of the Solar corona doesn’t mean that there is no electromagnetic interaction between the Earth and the Sun. Come to your senses, Dr. Svalgaard. Solar magnetic field extends to all of the Earth, including its core and all other conducting layers, producing a star-planet magnetic interaction. This is the important issue and this is where you are wrong in the context of the drag question. The Earth’s magnetic field shield’s the Earth from the solar wind and its embedded [and very weak, only 1/10,000 of the Earth’s] magnetic field. The volume around the Earth where the solar wind is excluded is called the Earth’s magnetophere. However, the exclusion is not perfect and at times the solar wind magnetic field reconnect with the Earth’s field about 60,000 km up from the surface in the direction of the Sun. The field line is now dragged down the tail of the magnetosphere during the next 2 to 3 hours, before reconnecting with its counterpart from the other hemisphere and thus disconnecting the sun’s field from that of the Earth. Because these field lines are laden with conducting plasma they have ‘existence’ and are not just abstractions as many people claim they are. While all this is going on the Earth is happily rotating underneath. Because the atmosphere below the ionosphere is not a conductor, the field lines down here have no individual existence [are not laden with plasma] and the Earth is free to spin without any interaction with the field above and hence there is no drag. The solar field does not penetrate below the ionosphere, not into the mantle, not into the core. In the upper atmosphere, the solar connection can induce currents. The currents can have effects on the ground and in the upper crust, but do not slow the rotation down as no angular momentum is moved up into the magnetosphere and out into the solar wind. To slow down the earth means to speed up something else as angular momentum must be conserved. I’m not saying the there is no interaction between the solar wind and the Earth. In fact, I was one of the co-discoverer of this [google ‘Svalgaard-Mansurov effect’ to find out]. What I clearly said was that the magnetic field in the solar wind does not slow down the Earth’s rotation [by a ‘drag’]. I suggest you keep a more civilized tone from now on. “The solid Earth behaves as a natural spatial integrator and time filter”, this is precisely the principle I have employed in some of my latest calculations and graphic interpretations. A possible effect of the strong ‘ring’ currents induction under the Arctic ocean may manifest itself as an electro-magnetic brake on the magma vortex. As the angular momentum of the Earth’s rotation must be conserved, slowdown of the Hudson Bay vortex will somewhat accelerate the Earth’s rotation . If so than this would be reflected in the ‘Length of Day’ – LOD. This indeed is the case as there is a close correlation between LOD and the Earth’s (z) field intensity as calculated for the North Pole (graph 3 in the link). As the Hudson Bay field weakens the effect may eventually disappear , there are signs of that already happening. an electro-magnetic brake on the magma vortex. There is no magma vortex. The field is generated in the core, not near the surface. Thanks Paul, I also appreciate that you have given time to explain clearly your thoughts and research. This article joins others that explore the strong possibility that solar output directly affects atmospheric oscillations. The case is building for EUV which I think is the main contributor. I’ve rarely seen anything so inane uttered by a scientist in public (see the experiment with the magnet, piece of paper, and iron dust again). I don’t particularly care for what you believe. The issue was whether the solar magnetic field slows down [drags on] the Earth’s rotation. And it does not. Because the troposphere [not the ionosphere] is not a conductor. In the 1950s and 60s there was an extensive debate about this. The standard model of the time posited that the magnetosphere was completely diamagnetic and would be a cavity in the solar wind with no magnetic interaction. In the 1960s it was suggested that a solar magnetic field and the Earth’s magnetic field could connect and that that would help feed energy into the magnetosphere. Arnold and Fairfield provided experimental evidence of that for a North-South directed solar field and Svalgaard [that’s me] and Mansurov provided direct evidence of that for an East-West directed solar field, and since then this has been generally accepted by everybody and there is no more doubt about or debate on the connection. But that was not the issue under discussion, so is irrelevant. Not whether the two field connect. Leif Svalgaard says: No, not at all. There is no magnetic drag as the two fields are separated by a non-conducting atmosphere. ___________________________ I tried to keep silent, but this is too much. Mr. Dr. Svaalgaard: Are you saying that Erath’s magnetic field does not extend beyond atmosphere? If not, what the heck are you saying, and who the heck you learned your physics from? Thanks for the links and articles Leif. Was looking for the different types of reconnection processes that could occur, when you landed this one for me. Our host Anthony and we thank him too, may want to note that, magnetic reconnection, applys to planetary as well as astrospheres. And that’s no rubbish..
Our host Anthony and we thank him too, may want to note that, magnetic reconnection, applies to planetary as well as astrospheres. And that’s no rubbish..
I’m sure he knows that. Magnetic reconnection is a universal process that applies throughout the universe.